ABBEY ROAD : THE STUDIOS THAT BECAME A LEGEND is rated 5.0 out of 5 by 2. 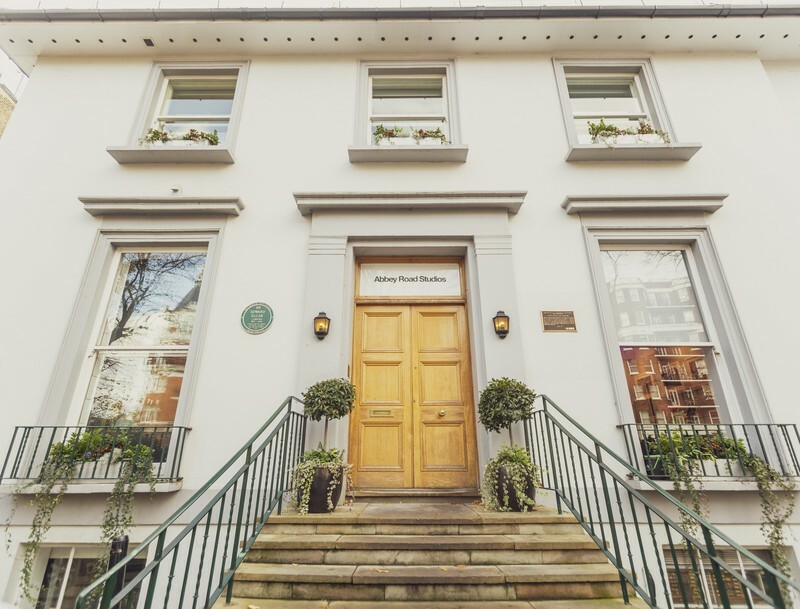 For a limited run, Abbey Road Studios opens it's doors for a series of exclusive talks in Studio Two on the past, present and future of the world's most famous recording studio. These inspiring talks will explore the extraordinary history and current life of the Studios. For the first time ever, guests will have a chance to see the iconic Studio Two Echo Chamber as well as the famous Control Room. Guests can access Studio Two one hour before the lecture begins. The lecture lasts for 90 minutes. Rated 5 out of 5 by Thomas F from Worth the trip - no matter where you live! I first saw an advert for this lecture series on Facebook in April of 2018. Knowing that short of booking time to record there, it was very unlikely I'd never be able to go inside, I went ahead and bought tickets not yet even knowing if I'd be able to make the trip. Having a lifelong interest in the art of recording, I had bought the lecturer's, Kevin Ryan and Brian Kehew's book, "Recording The Beatles: The Studio Equipment and Techniques Used To Create Their Classic Albums" years before when it first came out and often referred to it when I had questions about one technique or piece of equipment used in a particular situation or song. It is an exhaustingly researched, large format hundreds of pages long book that is indispensable to anyone interested in how The Beatles and George Martin and the various engineers achieved what you hear on record. I even lugged the very heavy book all the way from L.A and Kevin and Brian were gracious enough to sign it for me. The lecture itself was very informative, not only about The Beatles but also the history of the studio, which in many ways is the history of recording itself. The old pieces of studio equipment and microphones they bring in and have around the studio were very interesting to see too. A highlight of this was seeing the actual EMI built TG12345 mixing desk that both the Abbey Road album and Dark Side Of The Moon were recorded with. Another highlight was seeing some of the pianos, organs, celestes, etc that were used on Beatles recordings. And when Brian played the opening chords to Ob-La-Di, Ob-La-Da on the actual piano that was used, you immediately thought, "That's it!" since even the studio itself has it's own distinct sound. They let you into the studio an hour before the lecture starts so you have time to walk around and see the studio and old equipment they bring in. And also to savor the feeling of what to me was walking on hallowed ground. We weren't allowed to go further than a couple of feet in, but they let us see the massive Studio One too, where the orchestral build-up for A Day In The Life was recorded and also where All You Need Is Love for the Our World television show was broadcast from on 25 June 1967. Rated 5 out of 5 by Bren1 from Exceeded my Expectations in so many ways I attended the Abbey Road Lectures in 2018,and had no real pre conceived idea of what it would be like , but Wow !! What a mind blowing experience it was . I was actually amazed at how much access you get inside . Even in the control room . The lecture itself is about 90 minutes long and totally engaging and informative. But you also get an hour before it starts to just wander around. Staff are really cool and don’t rush you out , it’s all totally relaxed. If you are a music Fan you will love this. If you are a Beatles or a Pink Floyd fan you will be Heaven. You get up close and personal with the actual pianos that were used in so many iconic recordings .Worth every penny .